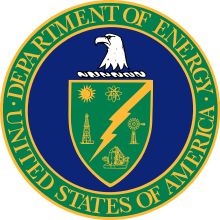 Brookhaven National Lab was originally owned by the Atomic Energy Commission and is now owned by that agency's successor, the United States Department of Energy (DoE). DoE subcontracts the research and operation to universities and research organizations. 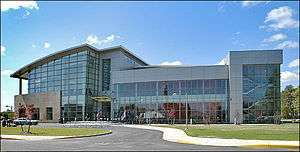 It is currently operated by Brookhaven Science Associates LLC, which is an equal partnership of Stony Brook University and Battelle Memorial Institute. From 1947-1998, it was operated by Associated Universities, Inc. (AUI), but AUI lost its contract in the wake of two incidents: a 1994 fire at the facility's high-beam flux reactor that exposed several workers to radiation and reports in 1997 of a tritium leak into the groundwater of the Long Island Central Pine Barrens on which the facility sits. In 1947 construction began on the first nuclear reactor at Brookhaven, the Brookhaven Graphite Research Reactor. This reactor, which opened in 1950, was the first reactor to be constructed in the United States after World War II. The High Flux Beam Reactor operated from 1965-1999. In 1959 Brookhaven built the first US reactor specifically tailored to medical research, the Brookhaven Medical Research Reactor, which operated until 2000. In 1952 Brookhaven began using its first particle accelerator, the Cosmotron. At the time the Cosmotron was the world's highest energy accelerator, being the first to impart more than 1 GeV of energy to a particle. The Cosmotron was retired in 1966, after it was superseded in 1960 by the new Alternating Gradient Synchrotron (AGS). The AGS was used in research that resulted in 3 Nobel prizes, including the discovery of the muon neutrino, the charm quark, and CP violation. The National Synchrotron Light Source operated from 1982-2014 and was involved with two Nobel Prize-winning discoveries. It has since been replaced by the National Synchrotron Light Source II. The Relativistic Heavy Ion Collider (RHIC) has been operational since 2000. One of the world's only two operating heavy-ion colliders, RHIC is as of 2010 the second-highest-energy collider after the Large Hadron Collider. RHIC is housed in a tunnel 2.4 miles (3.9 km) long and is visible from space. National Synchrotron Light Source II (NSLS-II), Brookhaven’s newest user facility, opened in 2015 to replace the National Synchrotron Light Source (NSLS), which had operated for 30 years. NSLS was involved in the work that won the 2003 and 2009 Nobel Prize in Chemistry. ↑ "Nobel Prizes at BNL". Bnl.gov. Retrieved 2012-07-25. ↑ "About BNL". BNL.gov. Retrieved 2016-06-21. ↑ "Physics Department". Bnl.gov. 2008-05-12. Retrieved 2010-03-17. ↑ "Homepage, Basic Energy Sciences Directorate". Bnl.gov. Retrieved 2010-03-17. ↑ "Environmental Sciences Department". Bnl.gov. 2009-02-04. Retrieved 2010-03-17. ↑ "Brookhaven National Laboratory Nonproliferation and National Security Programs". Bnl.gov. 2010-02-02. Retrieved 2010-03-17. 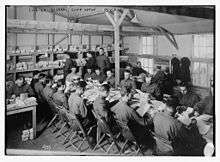 ↑ "Biology Department – Brookhaven National Laboratory". Biology.bnl.gov. Retrieved 2010-03-17. ↑ Crease, Robert P. (1999). Making Physics: A Biography of Brookhaven National Laboratory. ↑ "RHIC | Relativistic Heavy Ion Collider". Bnl.gov. Retrieved 2010-03-17. ↑ "RHIC | Spin Physics". www.bnl.gov. Retrieved 2016-08-23. ↑ "Center for Functional Nanomaterials, Brookhaven National Laboratory". Bnl.gov. Retrieved 2010-03-17. ↑ "National Synchrotron Light Source". Nsls.bnl.gov. Retrieved 2010-03-17. 1 2 "Nobel Prize | 2003 Chemistry Prize, Roderick MacKinnon". Bnl.gov. Retrieved 2010-03-17. ↑ "Alternating Gradient Synchrotron". Bnl.gov. 2008-01-31. Retrieved 2010-03-17. ↑ "Accelerator Test Facility". Bnl.gov. 2008-01-31. Retrieved 2010-03-17. ↑ "Tandem Van de Graaff". Bnl.gov. 2008-02-28. Retrieved 2010-03-17. ↑ "BNL Newsroom | Doors Open at New Interdisciplinary Science Building for Energy Research at Brookhaven Lab". www.bnl.gov. Retrieved 2016-08-23. ↑ "BNL | NASA Space Radiation Laboratory (NSRL)". www.bnl.gov. Retrieved 2016-08-23. ↑ "BNL | Brookhaven and the Large Hadron Collider". www.bnl.gov. Retrieved 2016-08-23. ↑ "BNL | Neutrino Research History". www.bnl.gov. Retrieved 2016-08-23. ↑ "BNL | Summer Sundays". www.bnl.gov. Retrieved 2016-08-23. ↑ "Lab reactor fully decommissioned". Retrieved 2016-08-23. 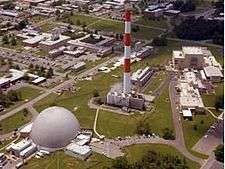 ↑ "Environmental Cleanup, Brookhaven National Laboratory". www.bnl.gov. Retrieved 2016-08-23. ↑ "BNL | Community Advisory Council". www.bnl.gov. Retrieved 2016-08-23. ↑ "Nobel Prize | 1957 Physics Prize, Lee and Yang". Bnl.gov. Retrieved 2010-03-17. ↑ "Nobel Prize | 1976 Prize in Physics, Samuel Ting". Bnl.gov. Retrieved 2010-03-17. ↑ "Nobel Prize | 1980 Physics Prize, Cronin and Fitch". Bnl.gov. Retrieved 2010-03-17. ↑ "Nobel Prize | 1988 Prize in Physics, Lederman, Schwartz and Steinberger". Bnl.gov. Retrieved 2010-03-17. ↑ "Nobel Prize | 2002 Physics Prize, Raymond Davis jr". Bnl.gov. Retrieved 2010-03-17. ↑ "Nobel Prize | 2009 Chemistry Prize, Venkatraman Ramakrishnan and Thomas A. Steitz". Bnl.gov. Retrieved 2010-05-20. ↑ "The anatomy of the first video game - On the Level". MSNBC. 2008-10-23. Retrieved 2010-03-17. ↑ "'+alt+'". Bnl.gov. Retrieved 2010-03-17.